What do you need to know about diabetes and celiac disease? Do you ever suffer from gas, bloating, constipation, diarrhea, vomiting, weight loss or anemia? Do you live with type 1 diabetes? Have you ever heard of or thought about celiac disease? Celiac disease is an autoimmune disease where the immune system responds to the ingestion of gluten in susceptible individuals (gluten is a protein found in wheat, rye, and barley). That immune system response damages the digestive system, which leads to malabsorption of nutrients and other related health issues. I suffered from all these symptoms and more before I knew I was living with celiac disease alongside diabetes. I spent 30 years of my life feeling bad. I had achy joints, terrible stomach pain, and uncontrollable blood sugars. I was initially diagnosed with gastroparesis and was prescribed Metoclopramide or Reglan to treat it. I followed the doctor’s advice and took the medication with no relief. Not to mention the drug side effects, tardive dyskinesia (uncontrollable facial twitching)! I was feeling frustrated and helpless, so I started to do my own research. I found that the prevalence in people with type 1 diabetes and celiac disease is about 6% worldwide. There is a genetic link between type 1 diabetes and celiac disease. (There is no connection between type 2 diabetes and celiac disease.) Developing one of the disorders increases the risk of developing the other. Symptoms of celiac disease can vary widely, and many times in people with type 1 diabetes, no signs are present. The only treatment is a strict gluten-free diet. When the diet is followed, the stomach lining and intestines can begin to heal itself. The disease is lifelong and every time gluten is ingested intestinal damage will occur. I decided to find a new endocrinologist who was an osteopathic doctor, and he immediately suggested we have blood work done to check for celiac disease. He didn’t brush me off or send me home with more drugs, which I truly appreciated. My new doctor confirmed the diagnosis soon after. I have since changed my diet and am feeling great. Considering my stomach used to feel like it was digesting hot shards of glass, this was a welcome diet change. There are so many gluten-free options available now – grocery shopping and eating out are easy. There are also tons of awesome recipes online and beautiful cookbooks available if you like to have hard copies. In no way am I suggesting everyone should eat gluten-free. But if you’re living with type 1 diabetes, it’s a good idea to be aware of the connection and get checked if you have any doubts. I’m sharing my story so other people don’t have to suffer the way I did. Being misdiagnosed and feeling bad is the worst, not to mention still having to manage your diabetes. Anything we can do to keep this diabetes monster tame is a positive thing, right? 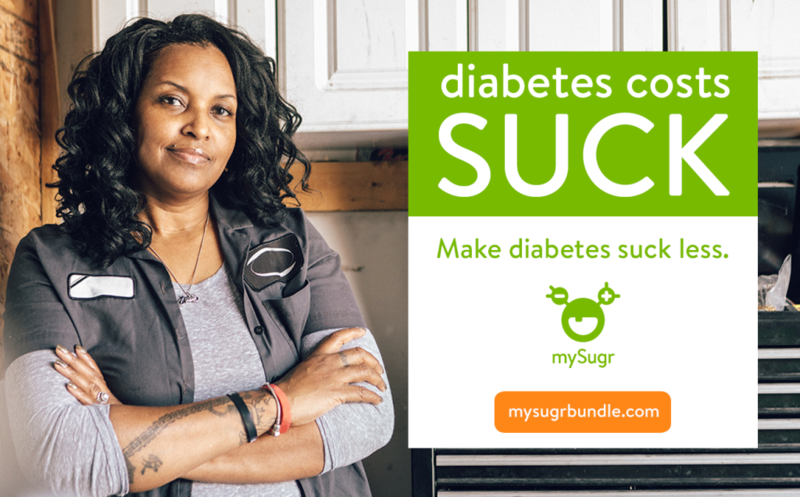 Alicia has been living with diabetes for almost 30 years. As a San Diego native, she loves, hiking, beach days and being outdoors. Alicia also enjoys teaching and taking dance classes and has a passion for movement in all forms. 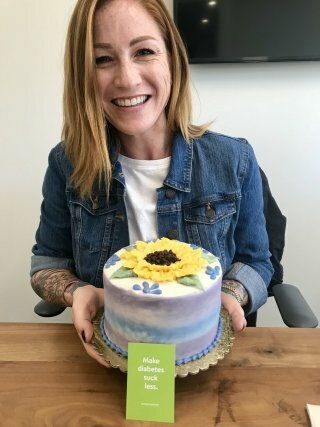 She is the mySugr office manager in Encinitas and you’ll usually find her keeping things organized and enjoying a craft coffee from next door.